I’m currently spending the month of September doing an emergency medicine rotation in Portland, Maine. So I’m trying to do as much hiking as possible on my days off. On 9/6/15, I got up around 4:00 am to make the 2.5 hour drive north to the Bigelow Range. This is probably the least ambitious hike that I’m planning for the month in terms of distance (13.1 total miles) and elevation gain (rougly 3,500-4,000′). I went at a very leisurely pace and finished in about 6.5 hours. 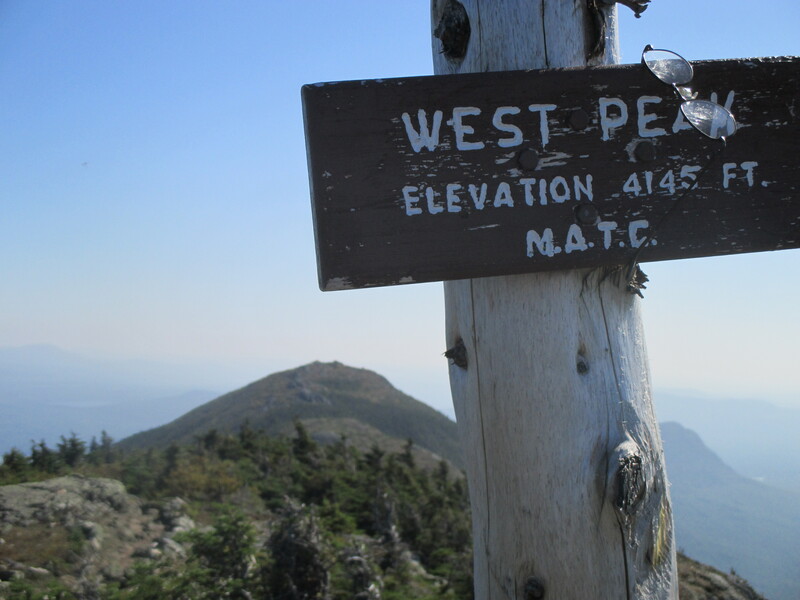 Most of the elevation gain for the day happened in the first couple hours, from the trailhead to the summit of Avery Peak (4,088′). The last mile or so to the top was essentially just a rock staircase. Nothing exposed or challenging, but a nice leg workout for sure. I stopped for breakfast at the summit, texted the wife, then backtracked about a half mile on the Appalachian Trail to reach West Peak (4,145′). This was the highest point of the day, both in terms of elevation and scenery. West Peak, looking back toward Avery. 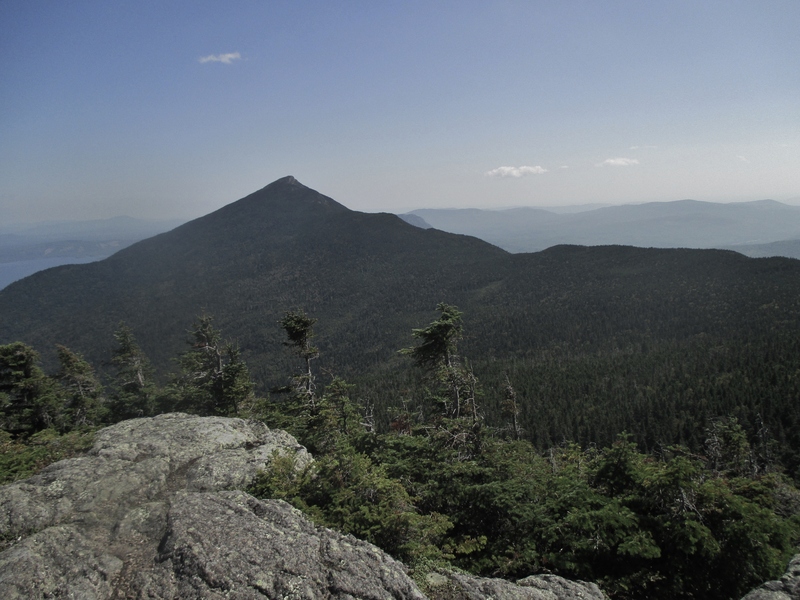 Bigelow’s North and South Horns in the distance…my next stop. The A.T. dropped back below treeline for the next couple miles until reaching the Horns. I stopped for a couple pictures on Bigelow’s South Horn (3,805′) and North Horn (3,792′). 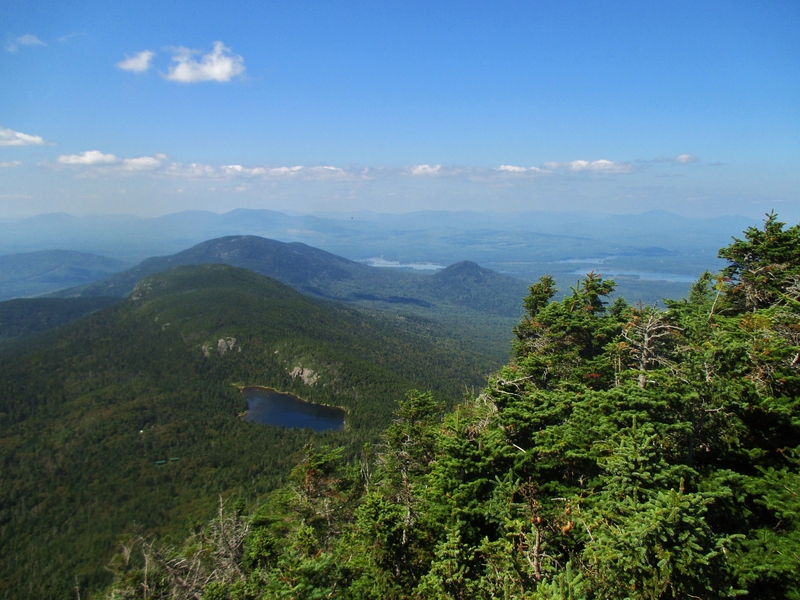 South Horn, looking west toward Horns Pond. 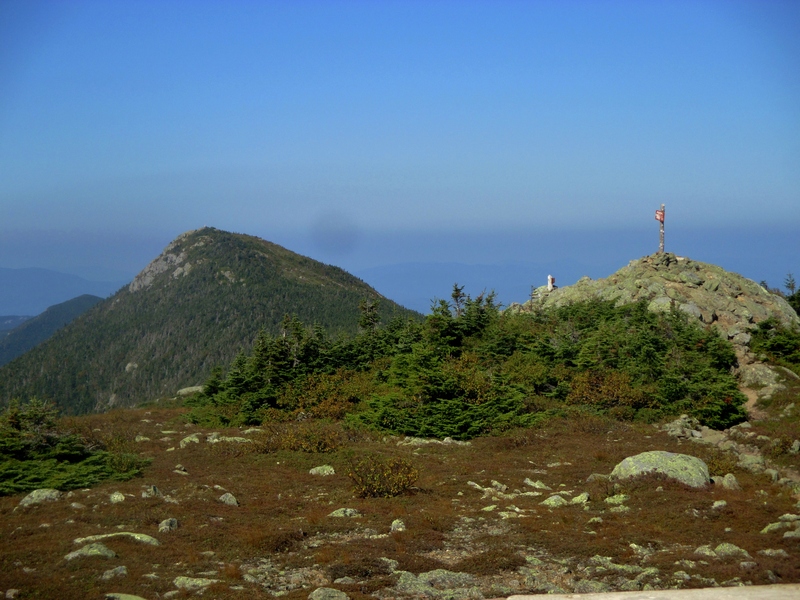 North Horn, looking back toward West Peak. It was starting to get pretty warm by the time I finished, so I was glad I’d opted for the earlier start. 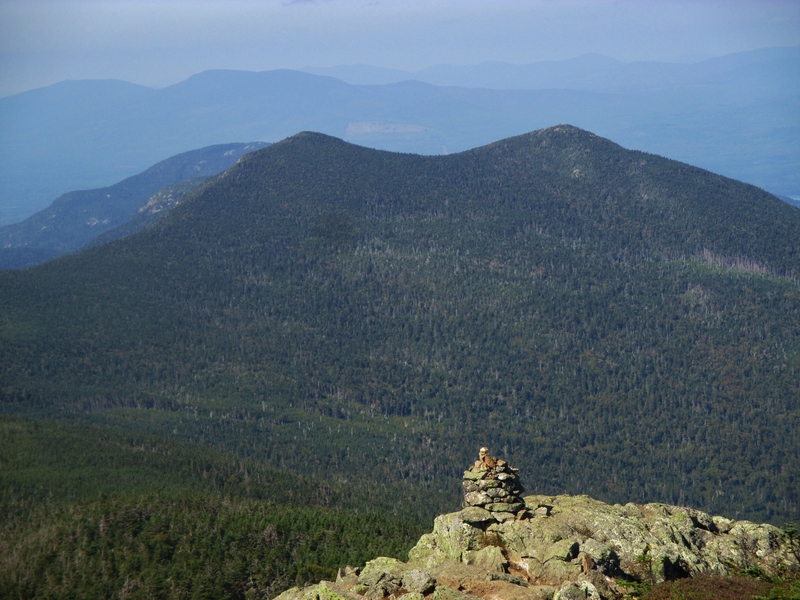 Next weekend I’m planning to attempt the Presidential Traverse in NH…then the following weekend I have my eye set on Katahdin, and possibly the Great Range in northern NY. Not quite as challenging as Longs Peak CO but still beautiful in its own Appalachian Mountain way. Love the views! Good luck with the Presidents! Sounds like a nice hike! Sounds like you are really going to enjoy this phase of the medical training! I enjoy reading about them and the beautful pictures!